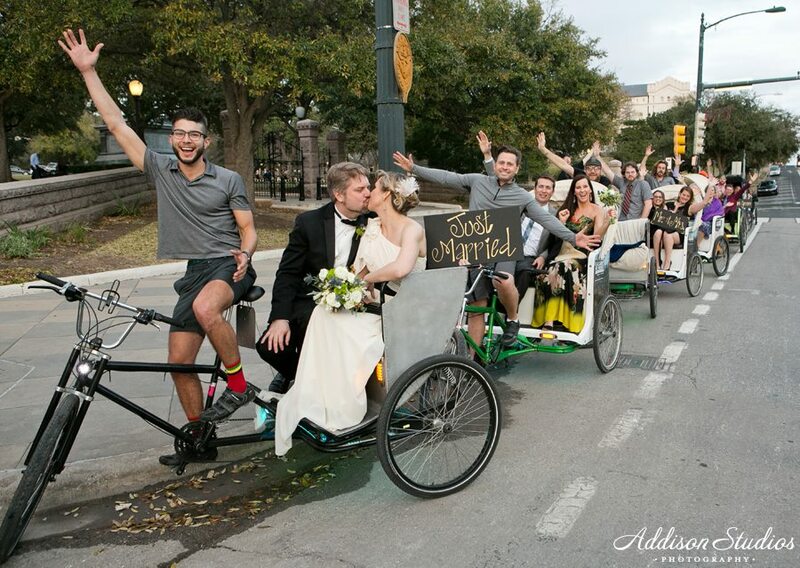 Folks book our pedicabs all the time for a variety of reasons. A huge, huge variety of reasons. Our professional chauffeurs are a colorful and entertaining cast of characters who love Austin and want to showcase its best parts. We have 63 pedicabs in our fleet; hire as many as you like. 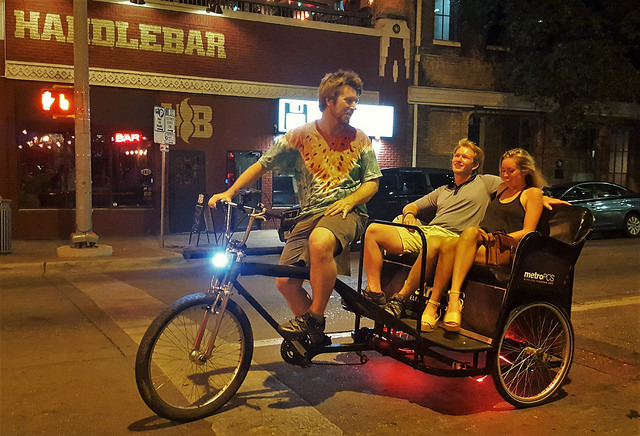 Would you like to reserve a pedicab? The reservations can be for one-way trips, round-trips or to multiple destinations. Anything can be improvised and we will accommodate every request as best we can. 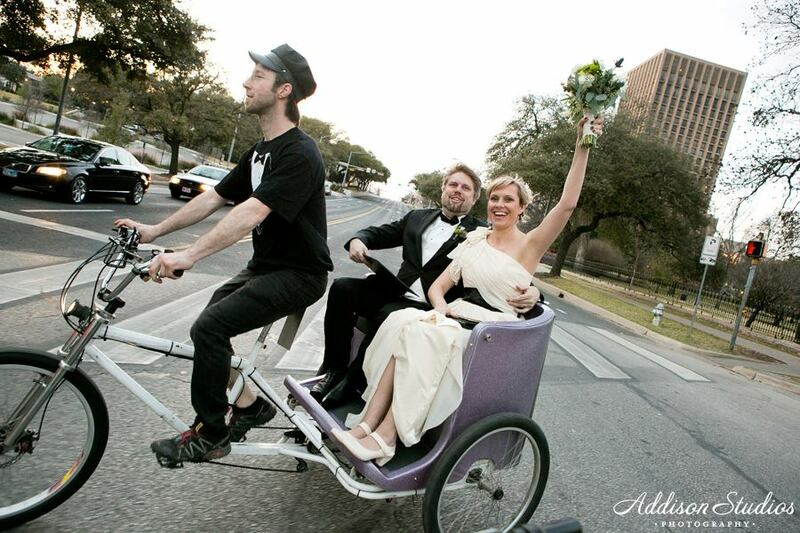 Our pedicabs are most often reserved for dinner reservations. Romantic nights out are our specialty. Are you a tourist visiting our fair city? We’d love to be an entry in your travel blog. Pick your own adventure! Tourists usually request sightseeing tours that include street art, history, scenic views and dirty stories. We’ll cater to your interests. As the capital city, as the self-appointed Live Music Capital of the World, in the heart of the Texas Hill Country and with a lazy river running through it, with our weird reputation, there’s bound to be something that can capture your fancy. 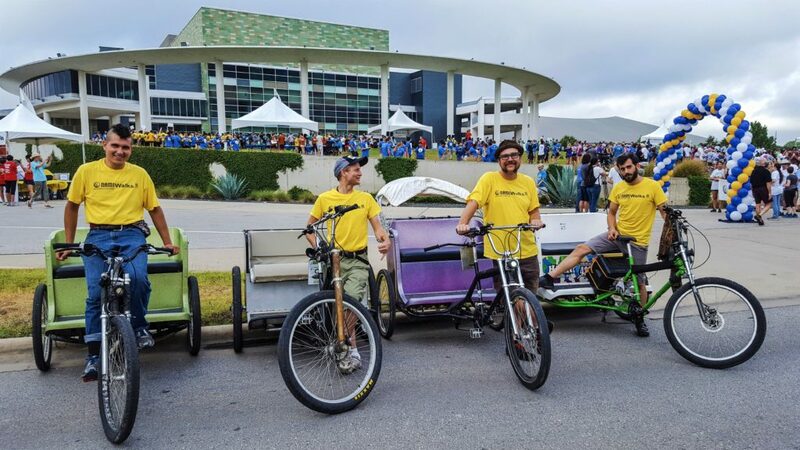 Are you an event organizer looking for green transportation your conference or event? You can dress us up, have fixtures (such as flags) and advertisements installed, and we will work with you to accomplish what you want. What can we do for you? We send off the happily married couple after their wedding. Being invited to a wedding or party is so much fun! We can dress in our informal finest. Keep Austin Weird. 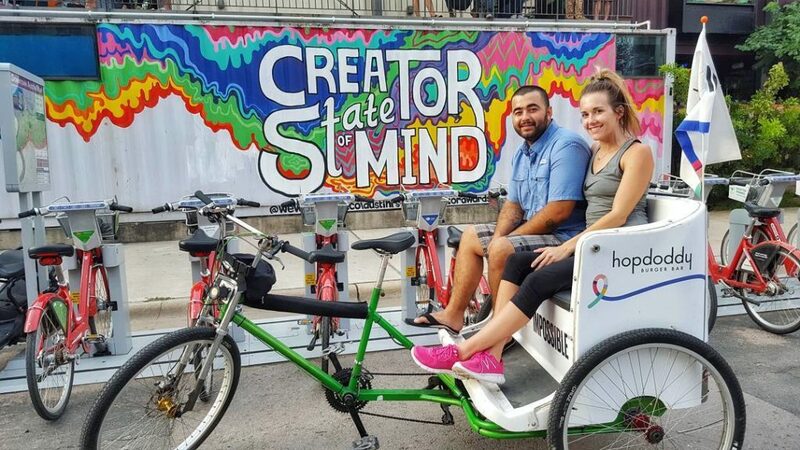 Ride a pedicab.